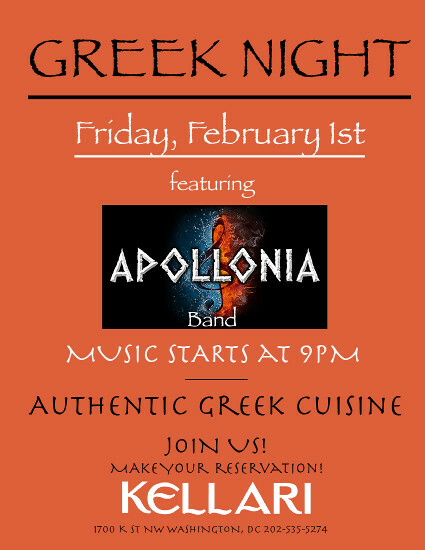 Join us on Friday, February 1, 2019 for a memorable night with authentic Greek food, wine, live Greek music by Apollonia and dancing at the February 2019 edition of Kellari's monthly Greek Night! Choose from a full menu of authentic Greek dishes and Wine Spectator award-winning Greek and imported wine list while you enjoy traditional Greek music starting at 9:00 PM. Dinner reservations are encouraged or come for drinks at the bar with scores of Greek young professionals.